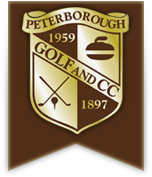 We are proud to be the only 'Members Only' Golf and Country Club in Peterborough with over 120 years of experience and tradition behind us. We offer an expansive wide variety of Memberships to suit all ages, lifestyles, and interests and these include various golf and curling as well as social. If you wish to review the complete 2019 complete Membership Package, please CLICK HERE. Please CLICK HERE for our Membership Application Form. This is a fillable form that you can complete and submit to us. Please contact Michael Gillan, General Manager, 705-743-5010 ext 12 for any additional information on all membership packages.